After their church was established in 1830, the early Latter-day Saints embarked on a series of westward migrations that steadily led them deeper into untamed wilderness.1 Some may wonder why they packed up everything they owned and transplanted their lives over and over. While the details of each journey varied, the underlying theme was twofold: (1) escape the world and its persecution and (2) establish Zion. In 1831, the Lord declared, “gather ye together, O ye people of my church, upon the land of Zion …. Go ye out from Babylon” (Doctrine and Covenants 133:4–5). 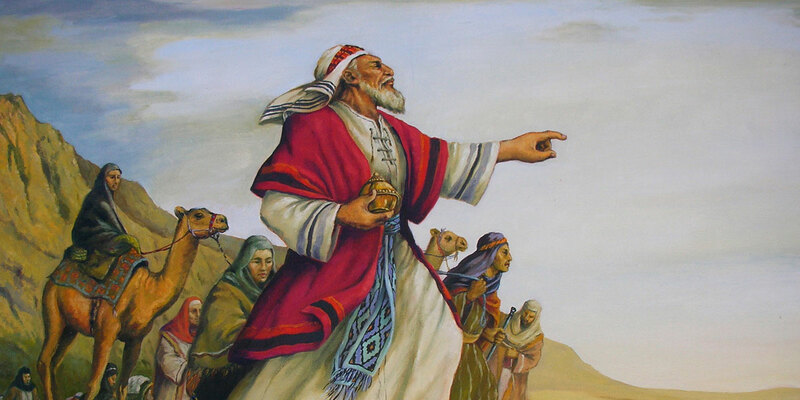 As Hugh Nibley described it, God intentionally “drives a wedge between Zion and Babylon, an intense mutual antipathy that constantly forces them apart.”2 The need for such separation seems clear enough—to protect Zion from both the physical and spiritual dangers of Babylon.3 It is Zion’s immediate destination that so often shocks those who are forced to flee. Instead of a lush land of milk and honey, the people of the Lord more often than not find themselves hungry and thirsty in a desolate wilderness. The twice repeated round trips back to Jerusalem, the loss of their bows for hunting, the death of Ishmael, the difficulties of pregnancy and nourishing young children, and the nearly constant threat of dehydration, starvation, and fatigue throughout their approximately 2,000-mile journey in one of the harshest landscapes on earth4—these and surely many more trials led most members of their party to experience moments of doubt, discomfort, and even rebellion.5 While Nephi remained uniquely faithful, he—much like the Savior Himself—suffered right alongside the others.6 In fact, with all the abusive violence and attempted mutinies, Nephi arguably suffered more than his fair share. In many ways, the wilderness is a fitting symbol of mortal life itself. Like Adam and Eve, all of us freely chose to enter into this realm and cut ourselves off from the comforts of a heavenly home. Those spirits who rejected God’s Plan of Salvation—perhaps, in part, because of its necessary mortal sorrows—suffered spiritual death along with their leader, Lucifer.10 Similarly, in many stories of an exodus into the wilderness, those who refuse to flee or are left behind often suffer destruction.11 Although the wilderness of mortality offers the possibility for salvation and eternal life, it is also a place of testing and trial, just as the Judean wilderness was for Jesus after His 40-day fast (see Matthew 4:1–11). The Book of Mormon repeatedly shows how the wildernesses of mortality offer necessary environments for growth and sanctification.15 All who cheerfully endure mortal trials without murmuring will find that the Spirit of the Lord will flourish in their hearts. They will recognized, in ways that may otherwise have been impossible, how “the tender mercies of the Lord are over all those whom [the Lord] hath chosen, because of their faith” (1 Nephi 1:20).16 And they will see that the Lord’s power can transform any wilderness—even the world itself—into a celestial abode of peace and happiness (see Doctrine and Covenants 29:23–24). 1. For a timeline overview of the Saints’ journey from Fayette, New York to the Salt Lake Valley, see “Chronology of Church History: Timeline,” online at lds.org. 2. Hugh Nibley, Approaching Zion, The Collected Works of Hugh Nibley, Volume 9 (Salt Lake City and Provo, UT: Deseret Book and FARMS, 1989), 33–34. 3. See Hugh Nibley, An Approach to the Book of Mormon, The Collected Works of Hugh Nibley, Volume 6 (Salt Lake City and Provo, UT: Deseret Book and Neal A. Maxwell Institute for Religious Scholarship, 1988), 157–167. 4. For the formidable travel conditions of the Arabian Peninsula, see Warren P. Aston, Lehi and Sariah in Arabia: The Old World Setting of the Book of Mormon (Bloomington, IN: Xlibris Publishing, 2015), 28–29; For personal accounts of desert travel along Lehi’s trail, see George Potter and Richard Wellington, Lehi in the Wilderness: 81 New Documented Evidences That the Book of Mormon Is a True History (Springville, UT: Cedar Fort, 2003), 68–70. 5. See 1 Nephi 2–5; 7; 16; 17:1–4 for Nephi’s account of their hardships and trials in the wilderness. 6. For further possible connections between Nephi and Christ, see Nathan Usevitch, “Nephi and the Brass Plates as a Type of Christ” BYU Religious Education Student Symposium, 2014, online at rsc.byu.edu. 7. See Mosiah 18:4, 35. In Mosiah 24:20 Alma again led his people into the wilderness to escape the persecution of Amulon. 8. See Hugh Nibley, Lehi in the Desert/The World of the Jaredites/There Were Jaredites, The Collected Works of Hugh Nibley: Volume 5 (Salt Lake City and Provo, UT: Deseret Book and FARMS, 1988), 163–168. 9. For more examples, see Bruce J. Boehm, “Wanderers in the Promised Land: A Study of the Exodus Motif in the Book of Mormon and Holy Bible,” Journal of Book of Mormon Studies 3, no. 1 (1994): 187–203. 10. See Doctrine and Covenants 76:25–36. 11. For instance, Sodom and Gomorrah were destroyed after Lot and his family escaped (see Genesis 19:25–30). The Egyptians army was destroyed after the Israelites passed through the Red Sea (see Exodus 15:1–5). And the Jews were destroyed after Lehi and his family departed into the wilderness (see 2 Nephi 1:4). 12. See Nibley, An Approach to the Book of Mormon, 137. 13. James E. Faulconer has viewed Nephi’s desire for his readers to recognize the Lord’s tender mercies as an underlying thesis statement for the Book of Mormon. See James E. Faulconer, “Remembrance,” BYU Speeches, June 23, 1998, online at speeches.byu.edu. 14. Taylor Halverson, “Cities and Civilization: Of Babylon and Zion,” Deseret News: Faith, March 14, 2015, online at deseretnews.com. 15. Most famously, Lehi’s counsel to Jacob, who was his “firstborn in the wilderness,” captures the need for contrasts and opposition found in mortality. See 2 Nephi 2. 16. See also Hebrews 12:6–11.